Robert is responsible for managing Datto’s development and infrastructure initiatives in support of its comprehensive data backup and protection platform. 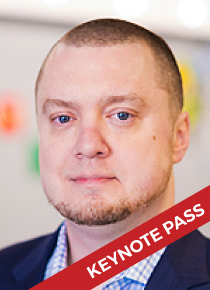 Prior to Datto, Robert spent 15 years as a software engineer and CTO leading teams of developers building high-uptime enterprise applications for Fortune 500 clients, including building one of the highest trafficked web advertising distribution networks and an enterprise digital asset management system deployed to thousands of end-users. Robert holds a B.S. in Policy Analysis and Management from Cornell University, a J.D. from Fordham University, and an M.S. in Computer Science from New York University.